Welcome to Joshua Mountain Ministries! 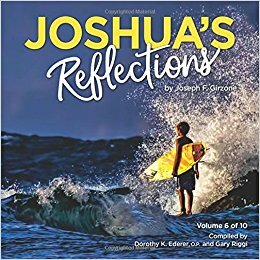 This site is dedicated to carrying on the legacy of the Joshua Foundation, started by bestselling author Fr. Joseph F. Girzone in 1995. The purpose of the Joshua adventure is to make Jesus real to a world that knows little about Him. Even to the world of religious people who love the scriptures or church, but know little about Jesus. Joshua Mountain is a place where people can come to develop a deeper understanding of the Jesus whom the Jewish people met two thousand years ago as he came walking down the street. 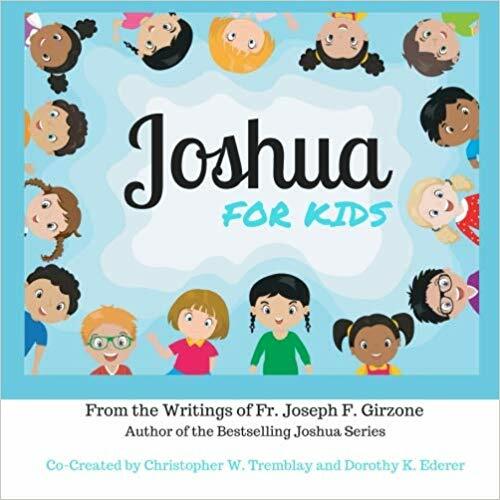 International bestselling author Joseph F. Girzone is the creator of the popular and inspiration Joshua books, an imaginative retelling of the life of Jesus. Fr. 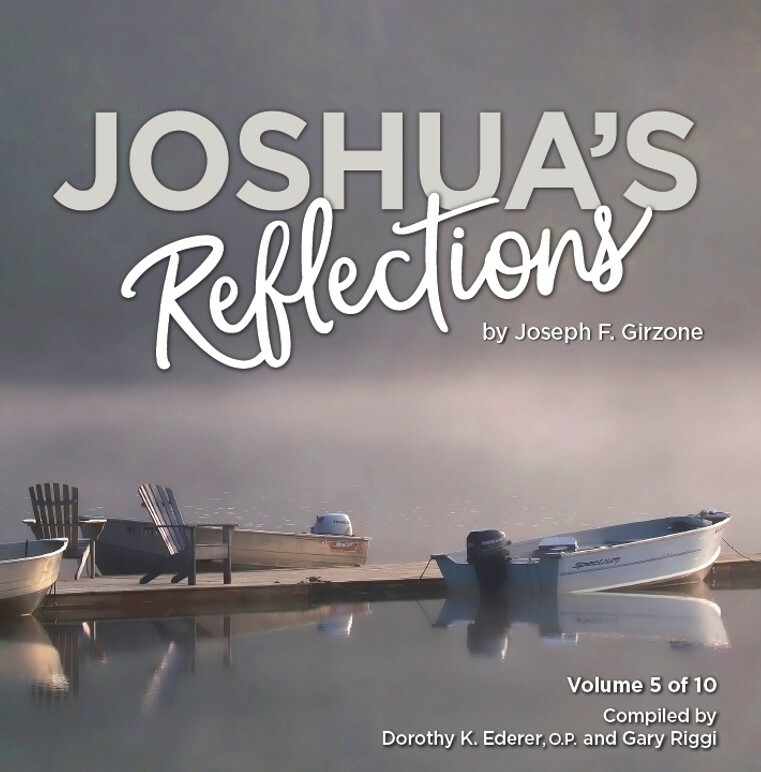 Girzone retired from the active priesthood in 1981 and devoted his life to writing about Jesus. In 1995, he established the Joshua Foundation, an organization dedicated to make Jesus better known throughout the world. He passed away in 2015. The Joshua Foundation is affiliated with The Joshua Project, a nonprofit group of faith based volunteers working for social justice in our communities by improving the lives of those who are most vulnerable. Through education, guidance, support and existing services, our goal is to be the heart and hands of Christ building self-reliance, dignity and self-sufficiency in our brothers and sisters thereby creating hope for generations to come. The Joshua Project will be distributing 384 turkeys plus 40 sit-down dinners to families in 3 counties: Schoharie, Montgomery and Schenectady, This is in partnership with Catholic Charities. For more information, visit the Joshua Project website. Click on the book to learn more and/or to purchase. Click here for a comprehensive list and description of his books. 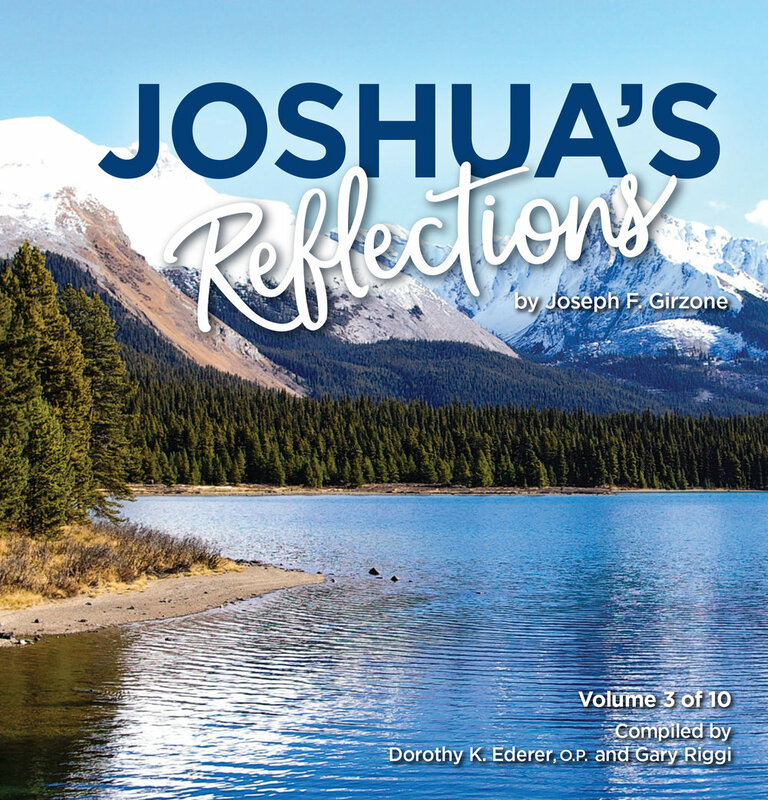 Click here to access books written by Sr. Dorothy K. Ederer, O.P. Click on the movie to learn more and/or to purchase. 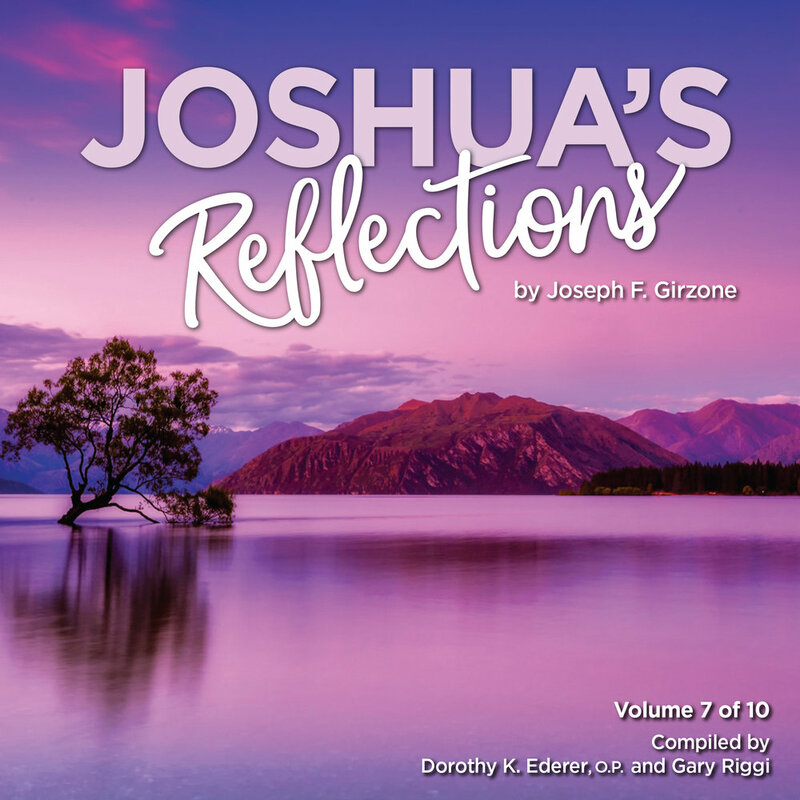 Click on the audiobook to learn more and/or to purchase. 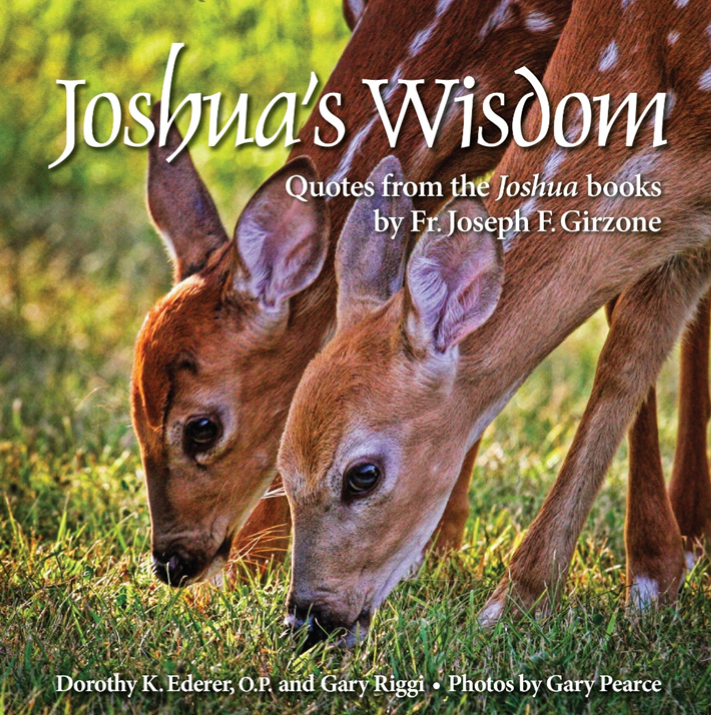 The Spring 2019 Joshua Retreat took place on April 6, 2019. Join us again in Fall 2019 for the next Joshua Retreat. Information will be posted here as details are finalized. Description: This first course in Joshua Spirituality introduces the student to Fr. 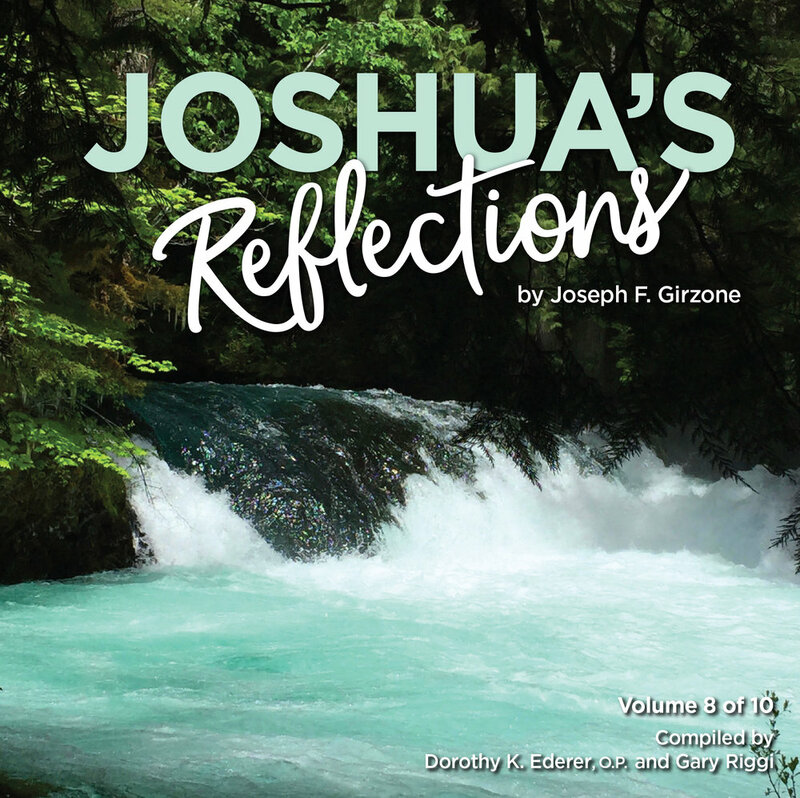 Joseph Girzone’s gospel stories combined with experiences from his own life and from people around the world. In this course, students will meet an approachable, loving Jesus who is their partner throughout their lives, and they will begin their journey toward spiritual intimacy with Him. 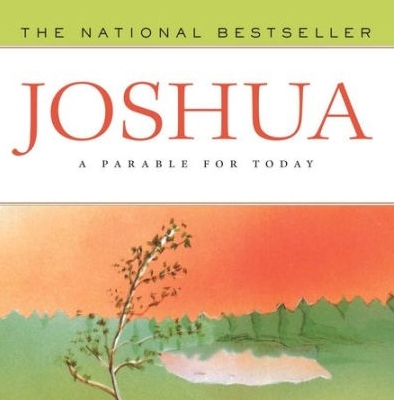 Description: The second course in Joshua Spirituality introduces students to the progress of human consciousness and leadership from the beginning of recorded time to today and invites them to become vigorously engaged, at this critical point in their spiritual evolution, in developing the consciousness of the anointed one, the Eternal Absolute. Bringing together the traditional wisdom of the world’s major cultures, as well as perspectives from a wide range of disciplines, from psychology to quantum physics, this course guides the students through five steps in the process of becoming Christ conscious leaders and provides opportunities for introspection, self-assessment, and personal growth. Old things are returning as very new things, and what feels like traditional teaching is now becoming conscious, revolutionary, and exciting. Barbara Benjamin brings so much together here in a time when we need so much. - Fr. Richard Rohr, O.F.M. Description: In this culminating course in Joshua Spirituality, students are guided through the process of building an intimate relationship with God. The course will engage students on a personal path to God, as presented in Fr. 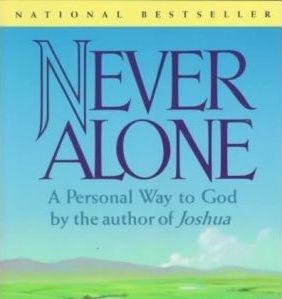 Joseph Girzone’s Never Alone and St. Teresa of Avila’s Interior Castle. In 1975, Fr. Girzone founded the Montgomery County Office for Aging. 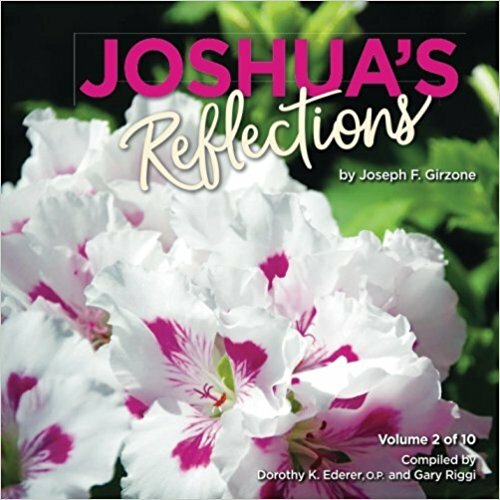 In 2000, the Montgomery County Office for Aging Inc. established the Father Joseph F. Girzone Crystal Pillar of the Community Award. This award is given to a community member who exemplifies Fr. Joe's vision and community service. "He has been a guiding light for our agency and staff," said Eileen Broyles, former director of the Office. Father Girzone was also the first recipient of the award in 2000. 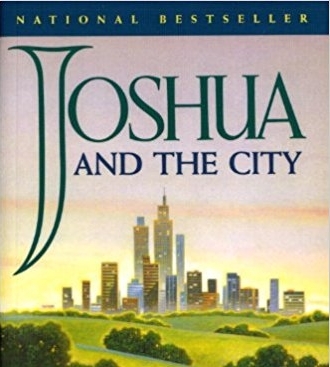 The Joshua logo was designed over 20 years ago by Joe's niece, Theresa, after a heartfelt discussion with Joe about his vision of offering a better understanding of Jesus through the creation of his modern day parable, Joshua. 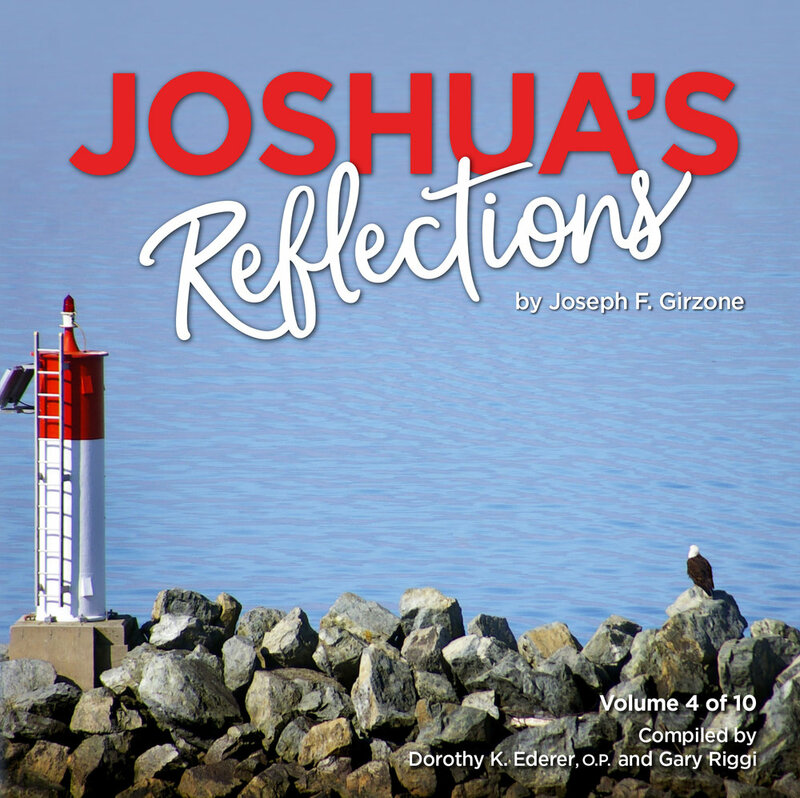 Theresa recalls Joe identifying both Jesus and Joshua as embodying a simple lifestyle, while teaching and exemplifying the simple message of love, kindness and compassion. 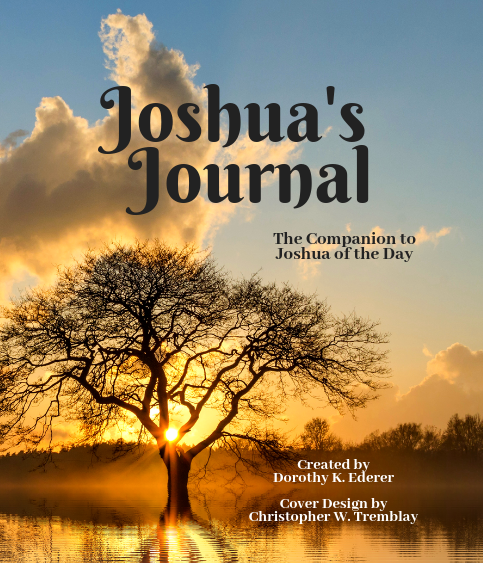 They agreed the simplicity of the traditional biblical leather sandal would visually remind his readers of the historical Jesus, while inviting them on a modern day journey with a soon to be, Beloved Friend, Joshua. The Joshua Logo is available in pewter as a small lapel pin to wear and be reminded of your relationship to the modern day Christ-like friend, Joshua, and to invite others on the journey to better know Christ, while living the message of his simplicity and Love. The Joshua Lapel Pin, is available through the The Joshua Mountain Ministries. Theresa Girzone King is an Artist, and Jewelry Designer. She holds a Bachelors degree in design from The College of St. Rose. Theresa lives in Guilderland NY, with her husband, Glenn, and their triplets, Sally, John and Charlotte, along with their pug, Melvin.